Our four-year training programme, Sussex IX, started in October 2014 and is now in its fourth year. It takes place in Ditchling, in East Sussex over a period of 40 training days per year and meets as four-day and six-day segments. 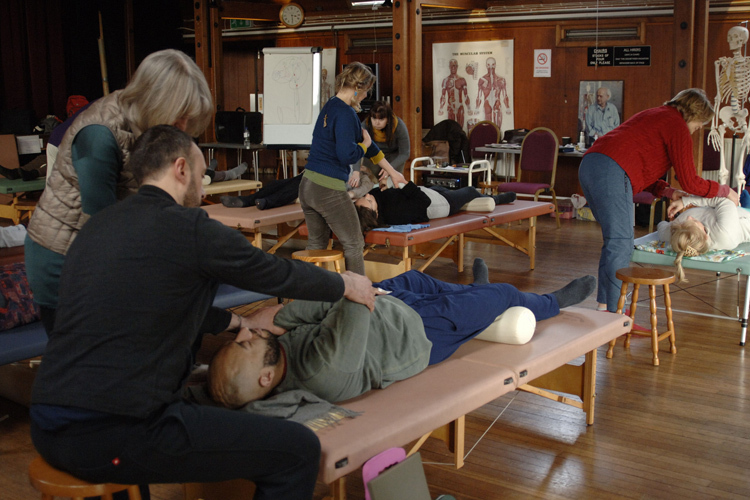 As with all of our trainings, Sussex IX is fully accredited by the Feldenkrais European Training Accreditation Board. Please contact us if you would like to visit this training. The more i know about this work, the more I appreciate how much there is to know. I am grateful to Garet for providing us with an excellent, well thought out and structured course so that we receive a solid grounding in the method. I also value that all the learning is through direct experience, whether receiving awareness through movement sessions, hands on one-to-one work and small group work when learning to teach. Garet is a very clear, experienced and capable trainer and the guest teachers have all been inspiring in their different ways.